Medical Malpractice Help » Medical Malpractice Causes » Birth Injury » How Long Can You Wait After Birth Injury To Sue? After a birth injury, you should take legal action as soon as possible. How Does the Statute of Limitations for Birth Injury Vary by State? How Can I Get Legal Help With My Birth Injury Claim? You should file a lawsuit as quickly as possible after a birth injury because you do have a limited time to do so. The clock begins ticking when the injury occurs. If you wait too long, you will not be able to file for medical malpractice. The statute of limitations establishes how long you can wait after birth injury to sue, and it varies from state to state. Do not let any critical deadlines pass. 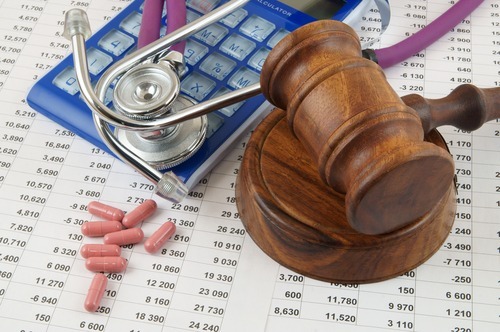 Contact a medical malpractice lawyer from Medical Malpractice Help today. We can help people across the United States fight for justice after birth injury malpractice. For a free case evaluation, call 855-633-2757. A statute of limitations is a time limit on bringing a lawsuit. It is typically expressed in years. It begins when the event happens that triggers the lawsuit. For example, if a state has a three-year statute of limitations for medical malpractice cases and a birth injury occurs on January 1, 2018, the plaintiff would have until January 1, 2021, to file a lawsuit against the doctor, hospital, or another liable party. Because birth injuries usually occur during, immediately before, or soon after childbirth, the statute of limitations typically begins running on the child’s birthday. However, many states have caveats and legal exceptions to the statute of limitations. Our attorneys can look at the laws in your state to determine if you are within the statute of limitations for medical malpractice. Some states give you much longer to file a birth injury lawsuit than others do. Under Louisiana state law, for example, you have only one year from the date of injury to seek damages. In other states, such as Minnesota, you have as long as four years. Most states give you between two and three years to file suit, but the stipulations of the law vary significantly. Depending on your state, there could be exceptions or addendums to the statute of limitations. The two most common are the discovery rule and the statute of repose. You were aware of the injury but had no way of knowing that someone else was responsible. In both of these situations, the clock does not start ticking in discovery rule states until you “discover” an injury occurred and someone else was responsible. If your child suffered a birth injury, and on the child’s first birthday you learned that medical malpractice was the cause, the statute of limitations would start on that date, not on the date of injury. A statute of repose is an absolute limit on filing a claim. It can override a discovery rule. In a worst-case scenario, a statute of repose can cause your lawsuit window to close before you even know you have a reason to file one. Again, imagine that your child suffered a birth injury, but you did not become aware of it until a year later. If this scenario occurred in a state with a three-year statute of repose, you would not be able to file a lawsuit past the child’s third birthday. The statute of repose is even less forgiving than the statute of limitations. Except in rare circumstances, it has no exceptions or caveats. Once it runs out, so does your ability to pursue damages. The statute of repose is another reason why it is critical you speak with a medical malpractice lawyer as soon as possible. If your child suffered an injury during childbirth because of a medical error, the dedicated medical malpractice lawyers at Medical Malpractice Help will fight for the compensation you deserve. We offer free, no-risk initial case evaluations to victims of medical negligence across the country. You can get answers to your questions while we go over your legal options. To schedule an appointment to meet with an attorney, call 855-633-2757 today.